The Lincoln Stars (23-19-5, 51 points, fifth place in the USHL Western Conference) will look to break out of a two-game slump this Tuesday night when they will host the Omaha Lancers at the IceBox. Puck drops at 7:05pm. Click here to listen to Stars radio announcer Mike Melbye call the game on AM 1480 KLMS. If you have money to burn, you can also watch the game via B2 Network by clicking here. If you want to follow the Pointstreak boxscore, click here. The visiting Omaha Lancers come into this midweek game with a record of 27-13-7 (61 points), and are currently in second place in the USHL Western Conference, 10 points ahead of the Stars. Tuesday night's matchup will be the seventh time this season the Stars and Lancers have battled one another, with Lincoln going 4-2-0 in those six previous meetings. The Stars are also 3-0 against the Lancers in their last three meetings, outscoring Omaha 11-5 in those three games. The last time the Lancers visited the IceBox, it was 1/14/11 and the Stars put a whuppin' on Omaha by a score of 5-2. The Lancers and Stars will meet only one more time after Tuesday night's game, and that contest will take place at the IceBox on Friday, March 18th. Despite their record, the Lancers have been an up-and-down team since their last meeting with the Stars on 2/19/11. Omaha is 2-1-2 in their last five games, and their last three games have all gone to overtime. 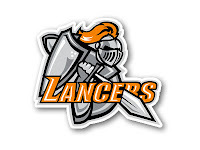 On offense, the Lancers are still led by forwards Seth Ambroz and Nick Oddo. Ambroz gets a lot of attention due to his size and the fact that he'll probably be a first or second round NHL draft pick this spring, but Oddo is just as dangerous. Oddo, a native of Omaha, has scored six points (4g, 2a) in six games against the Stars this season. Goaltender Todd Mathews started in net for Omaha in their last game, so I suspect that the Lancers will start John Keeney between the pipes against the Stars on Tuesday night. On the other side of the ice, the Stars are coming off a very disappointing weekend which saw them lose at home in OT to the Sioux Falls Stampede by a score of 4-3 on Friday night, and then a 6-3 blowout loss on the road against the Sioux City Musketeers on Saturday night. A disturbing trend we've seen with the Stars has been their lackluster play in the third period of recent games. Looking back at their last six losses, the Stars have been outscored 14-4 in the third period. In the last two games, Lincoln has surrendered three goals in the third period to both Sioux Falls and Sioux City. It has been a little frustrating to watch this team struggle at times with playing consistent hockey. One week, the Stars play three of the top teams in the USHL (Green Bay, Fargo, Omaha), and beat all of them convincingly. The next week they come out and lay an egg both nights against teams they should beat. I've said it a million times, this team can beat any team in the league when they want to. Seems as if the Stars play down to the level of their opponent sometimes, and get complacent. After the Omaha game, the Stars go on the road this weekend for two straight games against the Fargo Force. Getting at least four points out of a possible six is needed to keep the Stars in the playoff hunt, and in striking distance of Sioux Falls and the fourth spot in the western conference standings. Hopefully the nasty weather won't scare away too many fans, and we have yet another sellout crowd at the IceBox on Tuesday night. It doesn't get any better than a Lancers vs. Stars game in front of 4,000+ fans. See you all there. Note: From the official Lincoln Stars website: "Tuesday, March 8th vs. Omaha is another "Unused Ticket Night" to redeem any unused tickets. It will also be $1 Beer Night from 6-7pm where Season Ticket Holders can purchase 12oz Miller Lite or PBR for $1." Here's to a good game tonite (I hope). These games are always fun against Omaha. Sure would like to see a good whooping on them too! Looks like the weather is going to be kind for a change and not keep me at home tonight. Lets go get two points tonight!! Funny stat: Lancers goaltender Todd "Cheech" Mathews has accumulated 48 penalty minutes in 22 games played. He ranks fourth on the Lancers in terms of penalty minutes. Anybody know why Eric Scheid is not playing tonight?